A 300 by 300 foot lot was purchased by Reverend Wheeler in 1850, but no building program was begun due to a lack of funds. The location and disposition of this property has not been determined. 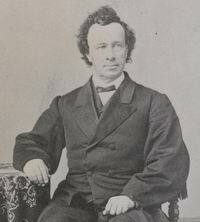 Reverend Grenell resigned in 1854 and returned to the East. In 1903, the church erected a parsonage on the corner of Monroe Street and Homestead Road on the lot directly adjacent to the church building. [ix] Today this home is owned by Santa Clara photographer Michael Kohl. He has related to this author his pride in this property and the desire to maintain it as a part of Santa Clara's heritage. The brick church continued in use until 1933 when the congregation outgrew the facility. At that time they acquired and moved into the former Presbyterian Church building on Benton Street. Membership of the Methodist and Presbyterian churches had declined and both had difficulty maintaining their separate churches and pastors. 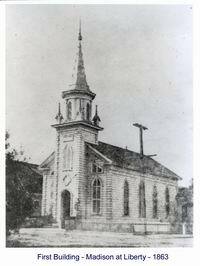 On August 18, 1929, the two churches federated and the federated congregation used the Methodist church building, enabling the former Presbyterian Church to be utilized for the Baptist congregation. The small brick church was sold and razed by the new owners. The 1863 marble nameplate was taken to the new church and installed over the door. This new home served the Baptist congregation until October 11, 1937, when fire destroyed the building sparing only the pulpit, American flag and Christian flag. [xi] The 1863 marble nameplate was lost for years until found, about 1981, under the floor boards of an old shed that Barney Heiner tore down for a new garage. Barney and his wife Marie live in the former pastor's house at the corner of Benton and Monroe streets. The nameplate is on display at the Headen-Inman Historic Museum in Santa Clara. Church members did not have the financial resources to rebuild. For a while, they tried meeting in individual homes, but this proved unsuccessful. 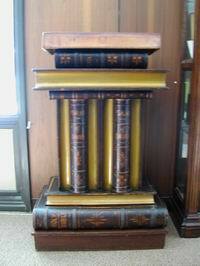 Most members joined the Grace Baptist Church in San Jose and the pulpit was taken there. Reverend Matthews was called as pastor of Grace Baptist in 1941. The new church incorporated Nov. 6, 1953. The church first met in the pastor's home and then moved to the American Legion Hall until arrangements were made through the American Baptists to secure funds to purchase an existing church building and move it to 1755 Catherine Street. The Reverend John Nastari was called to be pastor in April 1956 and he provided the leadership to begin a building program. 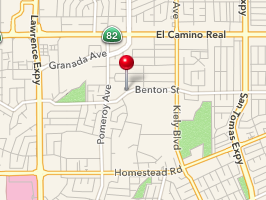 In November 1957, the church purchased about five acres at 3111 Benton Street from the Santa Clara Board of Education for $30,000. The initial property extended from Moraga Street to Pomeroy Avenue, with two acres later being sold to a developer to build townhomes. 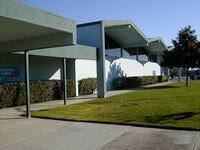 Groundbreaking ceremonies were held on September 13, 1959. Construction of the Fellowship Hall (that was used for church services as well as a social hall) and classroom wing was completed in 1960 and the dedication service was held March 6, 1960. 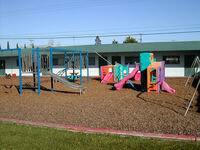 The construction cost was $127,560. Reverend Nastari served until September 1962. Reverend Ken Longmore served from March 1963 until December 1966. It was under Reverend Longmore that a sanctuary/church building with office space and additional classrooms were planned. Dr. Owen Miller was called as pastor in September 1967 and led the church in completing the project begun by Reverend Longmore. 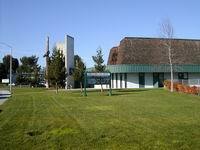 The American Baptists again assisted the church, and the building was dedicated February 8, 1970. Dr. Miller served the church until September 1977. The Pulpit Committee spent 18 months searching for a new pastor. Reverend Stan Cornils served as interim pastor during this time. Dr. Jack Hurse was called as pastor in February 1979 and served the congregation until March 1985. 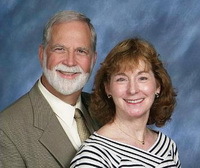 Dr. Lee Martin McDonald became pastor in October 1985. He was (and is) a world-class biblical scholar and a wonderful teacher. He led the church in several excellent programs, the most visible of which was the establishment of the Christian Day Care Center. This provided a much-needed ministry in our community at the time. Dr. McDonald served the congregation until May 1990. The Pulpit Committee spent 16 months searching for a new pastor. Reverend George Scripture, Reverend Hastings, and Reverend Don Cole, served as interim pastors during this time. On Mother's Day, Sunday May 12th, 1991 Reverend Don Cole suffered a massive heart attack during his sermon and went on to be with the lord. 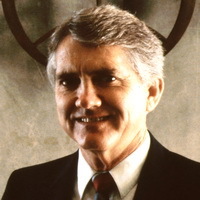 The Pastor Richard Reaves became senior pastor in October 1991. 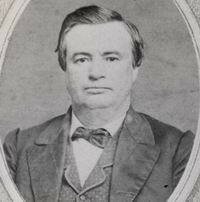 He began his ministry with some advantage over his predecessor since he was well known to much of the membership. Pastor Reaves' parents had joined the church while he was in elementary school, and he had grown up in the church. Further, he had served on the staff as an intern while he was in seminary, and later as Assistant Pastor after graduation. He also came with a fine pastoral reputation, having led his previous church for ten years in both physical and spiritual growth. He led the church through many difficult trials, but continued to insist that it keep its focus on presenting the gospel of Jesus Christ. In October 2015, Pastor Reaves retired after serving 24 years as senior pastor of SCFBC. This was the longest any pastor has served in First Baptist's history. In 1998, First Baptist held its first Bethlehem outreach event in the church parking lot. 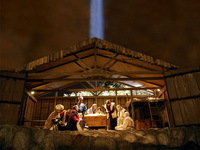 The event transformed the sanctuary parking lot into the city of Bethlehem to retell the Christmas story with costumed actors, live animals, music, and drama. This free event became a huge success in the city of Santa Clara drawing over 17,000 people in 2010 and became one of the largest outreach events in the church's history. 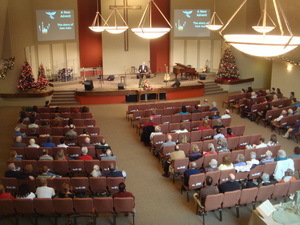 From 2009-2012 the inside of the sanctuary building was extensively remodeled. A capital fund raising campaign raised over $550,000 and an architect was hired to redesign the lobby, parlor, restrooms, and sanctuary. The church performed the work internally hiring members and sub-contractors and assisting them with a host of volunteers from the congregation. A new sound system was installed, lighting upgrades, rear screen projection, pew chairs, new stage, a kitchenette in the parlor, lobby information counters and seating, remodeled restrooms, carpeting, paint, and more. The stained glass color panels were removed from the large rear window and new windows were installed and all the rotting wood was replaced. The project was detailed in the 2011 Annual Report. November 1st, 2015, the church called Pastor Wungreiso Valui to be the new senior pastor of SCFBC from Fort Wayne Baptist Church in Indiana. 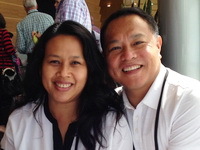 His wife Margareth Valui joined as the Family Life Pastor. The search committee spent 18 months searching for a new senior pastor, while Pastor Richard Reaves served as the transitioning pastor. Of necessity, this discourse touches only the briefest highlights of the past 165 years. There have been over fifty pastors and numerous dedicated laypersons. 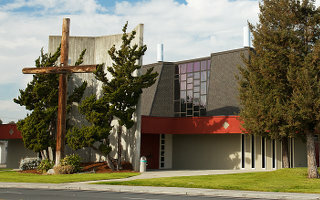 Only God knows what is in store for Santa Clara First Baptist Church in the future. But as we look back at the people and events that have constituted the church we take pride in what they accomplished, and trust God to continue to lead us forward. [i] - Fleming, Sanford, God's Gold, The Story of Baptist Beginnings in California - 1849 - 1860, Chicago, The Judson Press, 1949, Pg. 7, 55. [ii] - ibid., Pg. 90. [iii] - ibid., Pg 84. [iv] - ibid., Pg. 95. [vii] - San Jose Daily Mercury, op. cit. [viii] - Barry, Mary E., Some History of the Old First Baptist Church of Santa Clara, Typed manuscript, 1933. [ix] - San Jose Daily Mercury, op. cit.